"This nicely written and generally informative account provides a cursory through useful history of American animated cartoons. Theater critic and former 'Time' staffer Kanfer....chronicles American cartoons from the silent era to very recent efforts by the Disney Studio....'Serious Business' is a solid introductory text, particularly useful to those with little background in the history and sociology of American animated cartoons, successfully demonstrating Kanfer's proposition that 'in their own eccentric way, [cartoons] provide an extraordinary reflection of the society and politics of their time....'Serious Business' offers a lively, thought-provoking introduction to the fascinating complexity of seemingly simple animated cartoons. 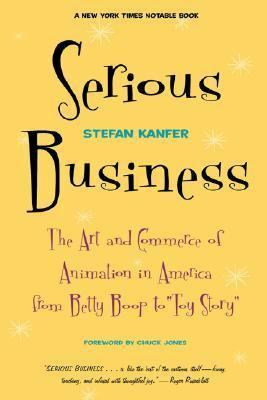 "Kanfer, Stefan is the author of 'Serious Business The Art and Commerce of Animation in America from Betty Boop to Toy Story', published 2000 under ISBN 9780306809187 and ISBN 0306809184. Loading marketplace prices 1146 copies from $0.51 How does the rental process work?